Conference agendas are drawn up months in advance so there is always time reserved for urgent topical subjects or ‘emergency motions.’ The Liberal Democrats have their Spring Conference in Southport 9th–11th March and we are aiming to submit the following motion for debate. There is always a lot of competition for the time slot reserved for such matters, so if you support this motion, please email info@libdems4freesyria.org with your full name, local party, and your membership number, by 8am on Tuesday 6th March. This motion builds upon F19—Towards a Stable and Peaceful Syria, passed March 2016. The Liberal Democrats unreservedly condemn the perpetrators of the shocking violence in Syria. 1) The population of Eastern Ghouta have been under siege by Syrian Government and allied foreign militias since 2013. 2) On 18th February Assad launched a fresh assault upon the enclave. 13 MSF supported medical facilities were struck by bombs or shells in just 5 days. The Violations Documentation Center recorded 616 deaths in 10 days, including 604 civilians. The UN describes it as ‘Hell on Earth’. 3) Eastern Ghouta has been subjected to at least 3 suspected chemical weapons attacks since the start of the year. 4) The Assad regime ignores all demands for a ceasefire including UNSC Resolution 2401 passed on 25th February. II. If necessary militarily deter further attacks on populated areas by Assad’s air force, such as was achieved in the 2017 missile strike on Shayrat air base. B) Release aircraft tracking data related to Russian Air Force violations and introduce sanctions against Russian citizens and companies involved with providing military support to the Syrian regime. C) Urgently review the mission parameters of our own military forces to set the protection of civilians as the primary aim and to recognise civilian protection as not just a moral imperative but also a strategic necessity in the fight to defeat terrorism. Syrian groups in the UK have proposed a set of pledges on Syria to candidates in the 2017 General Election. Jonathan Brown, Chair of the Lib Dems for Free Syria and standing as a candidate in the General Election for Chichester, has responded below. 1. Affirm the democratic right of Syrians to choose their own future free from dictatorship and terror. Yes. Liberal Democrats believe in democracy, the rule of law, and self-determination. 2. Call for the UK to track and publish details of military aircraft flights by the Assad regime and Russia that may be responsible for unlawful attacks on civilians. Yes. During the last Parliament, Liberal Democrat MPs raised this issue on a number of occasions with the Government in relation to Syria. This included writing directly to the Secretary of State for Defence and also tabling Parliamentary Questions asking why the Ministry of Defence decide to withhold this information, despite it being readily available for commercial flights. However, the Government refused to disclose this information. 3. Call for drone aid airdrops to besieged civilians to provide immediate relief and add pressure for full ground access. Yes. In March 2016 Liberal Democrats called for the creation of humanitarian corridors and no-fly zones over Syria. 4. Call for the UK to help enforce an end to attacks against civilian targets by the Assad regime and its allies. Yes. In addition to the above, in March 2016 Liberal Democrats called for the support of moderate opposition groups in Syria and where possible their protection from abuses by the Assad Regime and Russia. 5. Call for widened sanctions against the Assad regime and its supporters for war crimes and crimes against humanity. Yes. We will also work to deter the use of chemical and conventional attacks on civilians and demand humanitarian access and the release of political prisoners and their families. 6. Call for the UK to pursue all avenues to bring perpetrators of war crimes and crimes against humanity to justice, including through universal jurisdiction as well as international legal mechanisms. Yes. Liberal Democrats believe strongly that full investigations must take place into breaches of international humanitarian law in Syria and we strongly support measures to gather information of such crimes so that all available information can be used as evidence. 7. Call for the UK to pursue a ‘Uniting for Peace’ vote in the UN General assembly recommending action to protect civilians. Yes. We will seek new ways to bring an end to the conflict in Syria, working within the UN to break the deadlock in the Security Council. 8. Demand the highest standards of accountability of all our Coalition partners for air strikes taking place in Syria. Yes. Liberal Democrats demanded the government honour its commitment to provide regular updates to Parliament on the status of military operations in Syria. I hope other candidates—standing for all parties—will pledge to support Syrians too. The following has been submitted by Liberal Democrats for Free Syria as part of the Liberal Democrats’ snap General Election manifesto writing process. Although it builds on policy made by conference, this document itself is not official party policy. Liberal Democrats believe passionately in universal human rights and the rule of international law. We have a proud history of opposing wars of choice such as Iraq and an equally proud record of supporting humanitarian intervention to prevent genocide and other crimes against humanity. The international response to the systematic slaughter of Syrians by the Assad regime and its allies has been feeble. 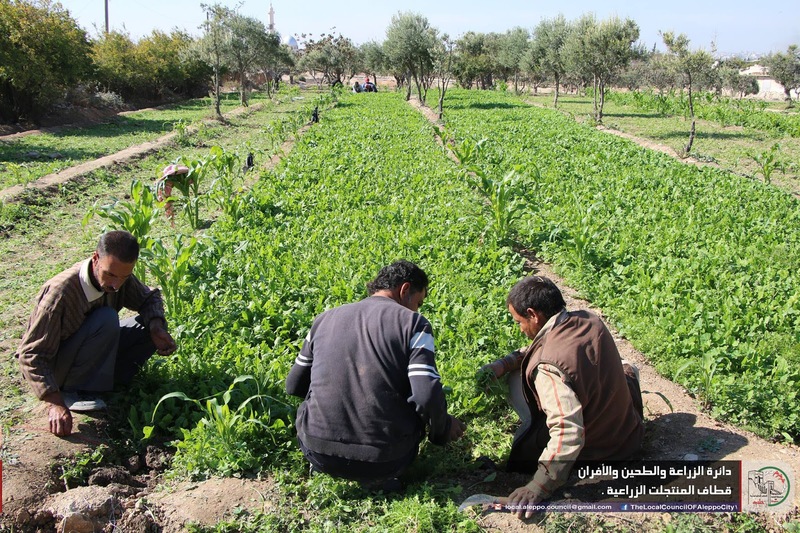 The international coalition against ISIS is hamstrung by a failure to coordinate properly with Syrian opposition groups—both armed and civil society organisations including the Local Coordination Committees. 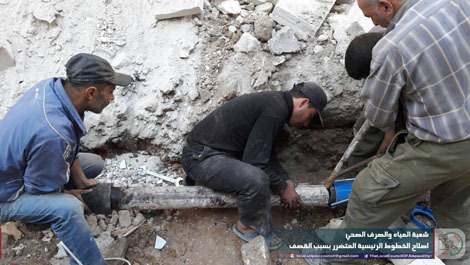 Coalition tactics result in ever more numerous civilian deaths and are no answer to the root cause of the violence and chaos in which terrorist groups thrive: the widespread attacks upon civilian lives and infrastructure being committed by the Assad regime. 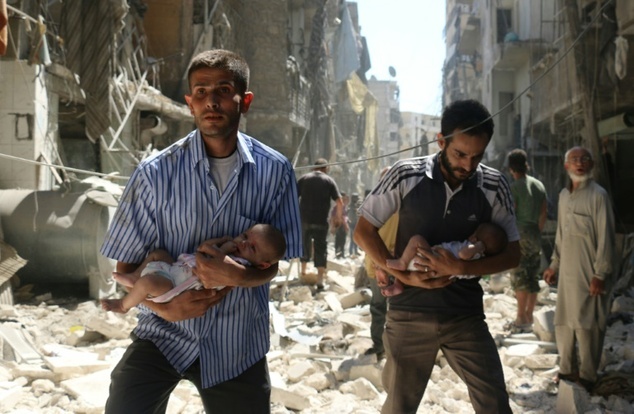 Put human rights and the protection of civilians at the centre of our foreign policy. We will support aid drops to besieged populations, extend the de-facto No-Bombing Zone which exists over much of north-eastern Syria to other regions and deter the use of chemical and conventional attacks on civilians. Seek new ways to bring an end to the war. We will push for a ‘Uniting for Peace’ resolution of the UN General Assembly, bypassing the veto-locked Security Council which has failed in its primary responsibility of maintaining international peace and security. We will push for existing UN Security Council resolutions on Syria, such as the demand for humanitarian access and the release of political prisoners and their families, to be enforced. Promote accountability for breaches of international law. We will publish flight tracking data on aircraft which attack civilians to enable targeted sanctions and prosecutions. We will demand higher standards of our coalition partners in avoiding civilian deaths and investigating casualties. We will pressure Iraq, Iran and Lebanon to cease support for the sectarian militias propping up the Assad regime just as we act against countries and individuals who fund extremist terrorist groups. We will tie aid and reconstruction money to the application of legal, security and governance standards ensuring that it will not be funnelled to or through the regime. Give new life to the principle of self-determination. We will continue to support civil society organisations in the parts of Syria free from regime and ISIS control. We will support the development of accountable security forces able to provide protection to the civilians in areas which have rejected rule by the Assad regime and the so-called Islamic State. Put dignity into our refugee policy. We will accept our fair share of the most vulnerable refugees and enable them to participate fully in our national life. We will promote safe and legal alternatives to the exploitative people smugglers and push for improved conditions and opportunities for refugees in the region. And we will put renewed effort into seeking a peace which will enable refugees to return home in safety. In her work on Syria, Jo Cox was particularly struck by how civil society has carried on in the most appalling conditions. A key example of that is the local councils that have been set up in opposition areas. 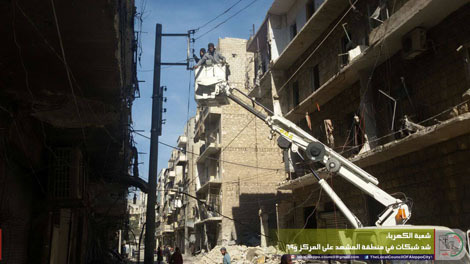 Read about Syria’s local councils in the last issue of Syria Notes published before Jo’s death. This week Russian forces have resumed attacks on besieged civilians in the Syrian city of Aleppo. 275,000 people remain trapped in east Aleppo according to Stephen O’Brien of the UN Office for the Coordination of Humanitarian Affairs. A third of those are children according to UNICEF. UN special envoy for Syria Staffan de Mistura is trying to negotiate an end to the siege of Aleppo. As part of his proposal he calls for the recognition of the Local Council of Aleppo’s administration in eastern Aleppo. Aleppo’s Local Council was founded in March 2013 to meet the needs of the area of Aleppo free of regime control. Members are elected through the general commission which includes representatives of borough councils and independent members. The term is one year. 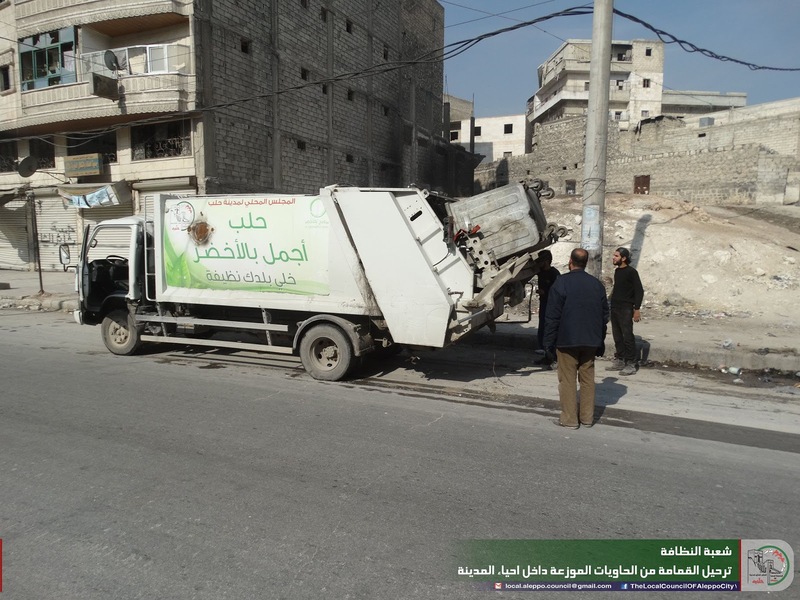 The Local Council of Aleppo City provides water/waste management services, electricity supply services, rubbish collection, street cleaning, road maintenance, educational supplies and stationery, humanitarian aid, air raid shelters, and a burial service. Before the siege, the council already faced all the difficulties of life under bombardment as well as the lack of a fixed budget, lack of heavy equipment, and lack of trained personnel. Even under siege, with shortages of food and fuel, the council continues to do all it can to maintain life and hope for Aleppo’s future. Staffan de Mistura made clear in his recent interview with The Guardian that a military victory by the Assad regime will not bring peace but instead more instability and terrorism. Civil society initiatives like Aleppo Local Council are trying to build an alternative both to Assad’s failed state and to the terror state of ISIS, and we need to support them. 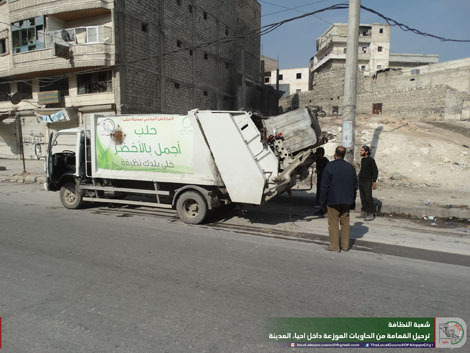 Local authorities in the UK can do their part to support Staffan de Mistura’s peace efforts, and to show support for besieged civilians in Aleppo including tens of thousands of children, by supporting Aleppo Local Council’s democratic project. Metz, France, has a Charter of Friendship with the Local Council of Aleppo City. Now is the time for similar statements of support from UK local authorities. “Lorraine and Metz experienced several conflicts in their turbulent history and suffered the humanitarian consequences: denial of rights, displacement of populations. It is with this history that the City of Metz decided to initiate a Charter of Friendship with The Civil Committee of the City of Aleppo, in Syria, at war today, but looking to reconstruction tomorrow. Please call on your local councillors to similarly extend friendship and support to the besieged people of Aleppo. The latest ceasefire in Syria failed—and was always going to fail—due to a complete lack of will to enforce its provisions. This failure of the international community to respond to the worst humanitarian crisis of a generation is eroding the system of international laws and norms that underpin democratic societies. As previously, the Syrian regime and its international backers used the ceasefire to prepare for a renewed military offensive. Fatally undermining the faith of Syrians in the political process, just as on every previous occasion, was the unwillingness of the outside world to protect civilians. As of 31st August 2016 107 airdrops of humanitarian supplies had been made to regime-held Deir Ez-Zur (besieged by ISIS) and 82 to regime-held Qamishli (besieged by Kurdish YPG forces). But not a single one had been made to any opposition-held part of the country. This is despite the fact that as the result of a UK government proposal, the International Syria Support Group (ISSG) had set a deadline of 1st June for the Assad regime to grant full humanitarian access to besieged areas. Since then, one of the seven most critical areas identified has been completely depopulated (Daraya) and East Aleppo has come under complete siege. The Aleppo Council, Kesh Malek (a charity providing schooling, until the 27th September to children in Aleppo) and war surgeon David Nott report fierce barrages of napalm, cluster munitions, phosphorous, barrel bombs, chlorine gas and bunker buster bombs targeting the city’s underground hospitals and neighbourhoods. And John Kerry meekly warns that if Russia does not put an end to this, we will walk away from talks that the regime has never shown the slightest interest in. Syria’s refugee crisis has already destabilised European politics, providing ammunition to the extreme left and right. It has pushed governments into contortions over their legal and moral responsibilities to those in desperate need of help. UNRWA today provides support to 5 million Palestinian refugees descended from 750,000 who were expelled from their homes in 1948. Today’s Syrian refugee population already numbers over 5 million. If you think (and you’d be right) that we’ve failed the refugees today, think how difficult it will be to provide for them in future. For any political process to stand a chance, pressure has to be placed upon the Assad regime and its principle backers. At the very least, the UK should actively monitor Syrian airspace, tracking military flights by the regime and Russia, matching flights with attacks to determine which base each attack originates from and therefore which air force is responsible – and which officers and officials have command responsibility. Russian and Iranian military officers and officials identified as having command responsibility for attacks on civilian targets should be added to existing sanctions lists and preparations made for bringing war crimes charges. The UK should work with EU partners to impose new Syria-related sanctions on Russia and Iran, and call on Iraq to block Iranian flights through its airspace. The RAF should press ahead with airdrops and airlifts to besieged areas; not just as a logistical second-best option for delivering aid, but as a means of pressing for ground access. And as advocated by the late Jo Cox, the UK should, with its allies, institute a no-bombing zone. This NBZ, or ‘deter and retaliate’ model no-fly zone would not require any boots on the ground or UK aircraft to enter Syrian airspace. It would not target Russian forces. But it would answer further air attacks against civilians with precision strikes against carefully selected regime military targets. For Western political leaders, talks have become an end in themselves rather than a means to one. But over and over again, as red line after red line has been crossed, it has been demonstrated that diplomacy without pressure cannot deliver a political solution. When laws are not enforced; when there are no consequences for committing war crimes, they are repeated. This video shows what the ‘peace’ that Assad is imposing on the country looks like. Unless pressure is brought to bear upon the regime and its international backers, no inclusive or sustainable peace is conceivable. The Liberal Democrats for Free Syria support a Syrian-led, Syria-focused end to the war and a just and sustainable peace. We judge events and policy proposals according to the evidence and the circumstances rather than dogma or clumsy comparisons with other foreign policy disasters of our time. We support Syrians in their quest for a peaceful, democratic and inclusive future where all can pursue their dreams and live in dignity.